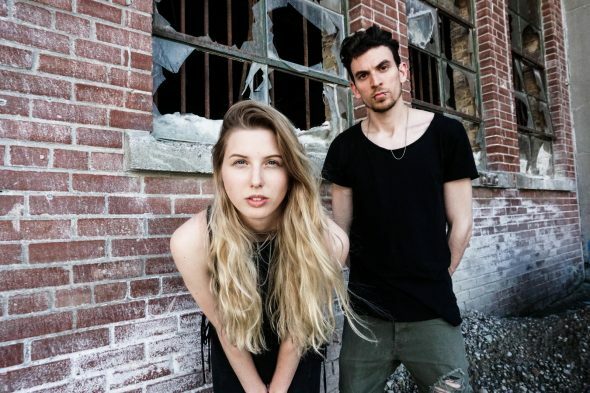 After a year spent producing YouTube covers in Montreal, indie duo Chris Kelly and Nicole Gibson have brought their music to Vancouver, and for the first time, it’s original. Following an EP of cover songs, the band recently released four singles that they wrote themselves—”Dream Out Loud”, “Can’t Stop Me Now”, “Ghost of You”, and “Out of the Dark”. Because of the variation between singing other artists’ work and creating their own, Kelly and Gibson have been struggling with what they call a stylistic “identity crisis.” However, one theme has remained constant throughout their musical partnership: encouraging self-love and motivation. She and Kelly weave that ideology into everything they create; it’s obvious not only in their upbeat lyrics but also in their joyous, sticky-sweet sound. With their indie-folk songwriting presented under shiny pop production, Chris Kelly & Nicole Gibson bear a resemblance to quintessential indie darlings like Angus & Julia Stone and Said the Whale. Streaks of rock influences can be picked out of their guitars and vocals—possibly symptoms from the duo’s previous experiences with performing in the genre—but generally, they sound like a band that could be heard on your average alternative radio station. And if they keep moving forward at the pace that they have been since 2016, they soon may be. The band’s newest single, “Dream Out Loud”, was written last fall and recently re-recorded in order to produce a higher quality track. The song is a piano ballad with a similar tone to one of their other new releases, “Can’t Stop Me Now”—a sound that the pair plans to stick with well into the future. The music video, which will soon be released on social media, will see Kelly and Gibson leaving white balloons adorned with messages and hashtags around Vancouver. As proud cat people, Chris Kelly and Nicole Gibson dedicate the majority of the proceeds from their music to charities for their feline friends. To learn more about them, visit https://kellyandgibson.com/.